The Personal Secretary is a 32 page monthly planner showing 14 months enclosed within an 11 point weight cover stock on which your advertisement may be printed, inside or on the outside of the cover. Included in with the 14 month layout are a telephone area code directory combined with a time zone map of the U.S.A. The Personal Secretary is offered as a two color calendar of black and any PMS color of the customers choice. Can be drilled to be put into a binder or left undrilled and saddle stitched. 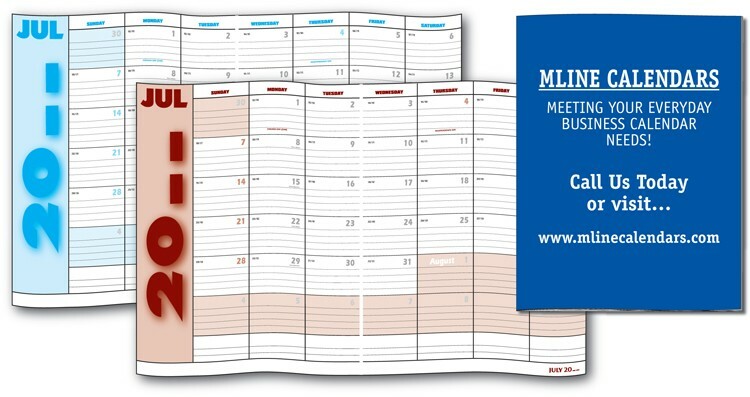 A very useful calendar for yearly planning and desirable at a reasonable price. • Ad space: 6-1/2" x 9"